NJ Internet Access supports the free flow of information and ideas over the Internet. NJ Internet Access does not actively monitor nor does NJ Internet Access exercise editorial control over the content of any Web site, electronic mail transmission, mailing list, newsgroup or other material created or accessible over NJ Internet Access services. However, NJ Internet Access reserves the right to remove any materials that, in NJ Internet Access' sole discretion, are potentially illegal, may subject NJ Internet Access to liability, or violate this Acceptable Use Policy ("Policy"). Your violating this Policy may result in the suspension or cancellation of your NJ Internet Access account. 2.1.1. Unauthorized copying of copyrighted material including, but not limited to, digitization and distribution of photographs from magazines, books, or other copyrighted sources, and copyrighted software. 2.1.2. Exporting software or technical information in violation of U.S. export control laws. 2.1.3. Posting or emailing of scams such as 'make-money-fast' schemes or 'pyramid/chain' letters. 2.1.4. Threatening bodily harm or property damage to individuals or groups. 2.1.5. Making fraudulent offers of products, items, or services originating from your account. 2.1.6. Attempting to access the accounts of others, or attempting to penetrate security measures of NJ Internet Access' or other entities' systems ("hacking"), whether or not the intrusion results in corruption or loss of data. 2.1.7. The unauthorized use of a person's name or likeness. 2.2. Harassing others by 'mail-bombing' or 'news-bombing'. 'Mail-bombing' constitutes sending more than ten (10) similar mail messages to the same email address. 'News bombing' constitutes sending more than 10MB of data to a newsgroup. 2.2.1. Sending unsolicited electronic mail (email) messages where the recipient objects to the content of the message or to the receipt of the message in general is also prohibited under this Section. 2.2.1.1. Members acknowledge that they are expressly prohibited from utilizing NJ Internet Access' service, NJ Internet Access' equipment or any NJ Internet Access email address in connection with the sending of the same or substantially similar unsolicited email message, whether commercial or not, to a large number of recipients. This prohibition extends to the sending of unsolicited mass mailings from another service which in any way implicates the use of NJ Internet Access' service, NJ Internet Access' equipment or any NJ Internet Access email address(es). 2.2.1.2. A message is unsolicited if it is posted in violation of a USENET or newsgroup charter and /or if it is sent to a recipient who has not requested or invited the message. For purposes of this provision, merely making one's email address accessible to the public shall not constitute a request or invitation to receive messages. 2.2.1.3. Member specifically agrees that he/she/it will not utilize the NJ Internet Access service, NJ Internet Access' equipment or any NJ Internet Access email address in connection with the transmission of the same or substantially similar unsolicited message to 50 or more recipients or 15 or more newsgroups in a single day. Members responsible for these acts may be terminated at NJ Internet Access' discretion. For each day upon which this provision is violated, Member agrees to pay NJ Internet Access $10.00 per day for an unintentional violation of this provision, but where warranted, such as in the case of an accidental transmission, NJ Internet Access may waive all or part of the applicable charge. In cases of willful violations of this provision, Member agrees to pay NJ Internet Access $200.00 per day. NJ Internet Access at its sole discretion shall determine whether such a violation was unintentional or willful. Payment by Member under this provision shall not prevent NJ Internet Access from seeking to obtain other legal remedies against Member, including other damages or an injunction. 2.3. Revealing your account password to others or allowing use of your account by others. 2.3.1 At no time can there be simultaneous use of the same username and password combination. 2.4. Forging any message header, in part or whole, of any electronic transmission, originating or passing through NJ Internet Access services. 2.5. Distributing viruses to or from NJ Internet Access systems. 2.9. Cross-posting advertisements for products, items, or services to ten (10) or more unrelated USENET newsgroups. 2.10. Posting articles to any USENET or other newsgroup, mailing list or similar forum which are off-topic according to the charter or other public statement of the forum. 2.11. Disrupting any newsgroup with frivolous, excessively vulgar, or repetitious postings. 2.12. Posting of binary, or excessively large, unrelated text files to non-binary newsgroups that have specifically requested such material not be posted in the group's FAQ (Frequently Asked Questions), charter or other public statement of the forum that such material not be posted. 2.13. Installation of 'auto-responders', 'cancel-bots' or similar automated or manual routines which generate excessive amounts of Net traffic, or disrupt Net newsgroups or email use by others. 2.14. Engaging in any of the above activities using the service of another provider but channeling such activities through an NJ Internet Access account or re-mailer, or using an NJ Internet Access account as a mail drop for responses. Member acknowledges that NJ Internet Access' Service is intended for periodic, active use of email, user newsgroups, file transfers via FTP, Internet chat, Internet games and browsing the World Wide Web. Member further agrees not to use the service on a standby or inactive basis in order to maintain a connection. Pinging is expressly prohibited. Accordingly, NJ Internet Access maintains the right to terminate Member's connection following any extended period or inactivity as determined by NJ Internet Access. NJ Internet Access has no practical ability to restrict all conduct, communications or content which might violate this Policy prior to its transmission on NJ Internet Access' systems, nor can NJ Internet Access ensure prompt removal of any such communications or content after transmission or posting. Accordingly, NJ Internet Access does not assume liability to subscribers or others for any failure to enforce the terms of this Policy. 5.1 The Service includes: Internet access; electronic mail ("email") and a single electronic mail address. 5.2. Any means of identification assigned to you by NJ Internet Access (including usernames and email addresses) will remain the property of NJ Internet Access and at NJ Internet Access' sole discretion may be altered or replaced at any time. 5.3. NJ Internet Access makes no guarantees as to the continuous availability of the Service or any specific feature of the Service. NJ Internet Access reserves the right to change the Service or any of its features at any time with or without notice. 6.1. Member certifies to NJ Internet Access that he/she is not a minor. By accepting this Agreement, you represent that you meet this age requirement. Minors who use the Service are assumed to have parental or guardian consent to do so. 6.2. You agree to provide NJ Internet Access with accurate and complete billing information including your legal name, address, and telephone number. All changes to this information must be reported to NJ Internet Access within 30 days of the change. 6.3. By accepting this Agreement, you agree that you are responsible for all charges posted to your account until you cancel the account as specified in Section 15. 7.1. Setup fees are nonrefundable, and NJ Internet Access does not issue pro rata refunds for fees paid in advance. 7.2.3. NJ Internet Access does not warrant or promise that any of our access numbers are a local call for you. In particular, we urge you to note than even an access number that shares your area code or appears to be located in your general geographic region may NOT necessarily be a local number to you. Substantial toll telephone charges may apply to numbers that you do not verify as local to your individual area or calling plan. Your local telephone company can tell you whether any of our access numbers are in fact local to you. We urge you to check with your local telephone company before connecting to our service using one of our access numbers. NJAccess will NOT be held responsible for any toll or long distance charges you may incur by dialing a non-local access number. 7.4 A service charge, up to the maximum allowed by the state you reside in, will be assessed to your account for each check that is returned to NJ Internet Access for insufficient funds. 7.5. Payments for all charges are due within 30 days of the month in which the charges are incurred. If your account is delinquent, your account may be suspended or canceled at NJ Internet Access' sole discretion. IF YOUR ACCOUNT INCURS CHARGES WHICH ARE DENIED BY YOUR FINANCIAL INSTITUTION, NJ Internet Access RESERVES THE RIGHT TO RE-BILL FOR THOSE CHARGES, REGARDLESS OF YOUR ACCOUNT STATUS. If your account is suspended, regular charges continue to accrue until you cancel your account. 7.6. You agree to pay all sales and use taxes, duties, or levies which are required by law as well as all attorney and collection fees arising from efforts to collect any unpaid balance on your account. 7.7. Unless explicitly requested otherwise, NJ Internet Access will bill you for services herein via e-mail, to an email address you specify when opening your account. It is your responsibility to notify us of any change in your billing email address, or your current postal mailing address. 7.8. If you believe that NJ Internet Access has billed you in error, you must contact the Customer Service Department (per Section 15) within 60 days of the invoice or transaction date of the charge. Refunds or adjustments will not be given for any charges which are more than 60 days old. 8.1. For personal accounts, you and any members of your household are the only individuals who are authorized to access the Service through your NJ Internet Access account. For business, accounts, you are the only individual who is authorized to access the Service through your NJ Internet Access account. You must not permit anyone else to access the Service through your account and must ensure that all authorized users of your account comply with this Agreement. In addition, there may not be any simultaneous usage of your account or username from two or more computer systems. 8.2 You are responsible for maintaining the confidentiality of passwords used by you or members of your household. 8.3. You are responsible for all charges assessed as a result of use of your account. However, NJ Internet Access will not hold you responsible for charges attributable to an unauthorized user's access to your account without your permission, provided that you notify NJ Internet Access within 24 hours of discovering any such unauthorized use and the unauthorized use is not attributable to the failure of any authorized user to exercise reasonable efforts to maintain the confidentiality of the account or password. 8.4. Except for software provided by NJ Internet Access, you are responsible for providing and maintaining all equipment and other software necessary to access the Service. 8.5. You will not use the Service or permit others to use the Service through your account in any way that violates any law or regulation; subjects NJ Internet Access to liability; or is in contravention of NJ Internet Access' Acceptable Use Policy. You agree to comply with all NJ Internet Access security procedures and standards and to be bound by the terms and conditions of the End User License Agreement for any software provided to you. 9. Monitoring the Service; Disclosure of Member Information. NJ Internet Access has no obligation to monitor the Service but may do so and may disclose information regarding your use of the Service to satisfy laws, regulations or governmental requests; to operate the Service properly; and, to protect itself and its members. However, NJ Internet Access will not disclose member information to outside persons or entities for the purpose of soliciting NJ Internet Access members. NJ Internet Access, IN ITS SOLE DISCRETION, MAY REMOVE OR REFUSE TO POST ANY INFORMATION OR MATERIALS, IN WHOLE OR IN PART, WHICH ARE UNACCEPTABLE, UNDESIRABLE OR IN VIOLATION OF THIS AGREEMENT. 10.1. Except for certain products and services specifically identified as being offered by NJ Internet Access, NJ Internet Access does not control any information, products or services on the Internet and except for such NJ Internet Access-identified content, all merchandise, information and services offered, made available, or accessible on the Internet are by third parties who are not affiliated with NJ Internet Access. 10.2. YOU ASSUME FULL RESPONSIBILITY AND RISK FOR USE OF THE SERVICE AND THE INTERNET BY YOU AND YOUR AUTHORIZED USERS. 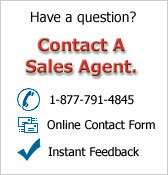 THE SERVICE IS PROVIDED ON AN "AS IS" AND "AS AVAILABLE" BASIS. NJ Internet Access DOES NOT WARRANT THAT THE SERVICE WILL BE UNINTERRUPTED OR ERROR-FREE OR THAT ANY INFORMATION, SOFTWARE OR OTHER MATERIAL ACCESSIBLE VIA THE SERVICE IS FREE OF VIRUSES, WORMS, TROJAN HORSES, OR OTHER HARMFUL COMPONENTS. NJ Internet Access MAKES NO EXPRESS OR IMPLIED WARRANTIES, REPRESENTATIONS OR ENDORSEMENTS INCLUDING, BUT NOT LIMITED TO, WARRANTIES OF TITLE, NON-INFRINGEMENT OR IMPLIED WARRANTIES OF MERCHANTABILITY OR FITNESS FOR A PARTICULAR PURPOSE REGARDING ANY MERCHANDISE, INFORMATION OR SERVICE PROVIDED THROUGH NJ Internet Access OR ON THE INTERNET GENERALLY. NO ADVICE OR INFORMATION GIVEN BY NJ Internet Access, ITS EMPLOYEES, AFFILIATES OR CONTRACTORS SHALL CREATE A WARRANTY. 10.3 NJ Internet Access SHALL NOT BE LIABLE FOR ANY COSTS OR DAMAGES ARISING DIRECTLY OR INDIRECTLY FROM USE OF THE SERVICE. IT IS SOLELY YOUR RESPONSIBILITY TO EVALUATE THE ACCURACY, COMPLETENESS, AND USEFULNESS OF ALL OPINIONS, ADVICE, SERVICES, AND OTHER INFORMATION, AND THE QUALITY AND MERCHANTABILITY OF ALL MERCHANDISE PROVIDED THROUGH THE SERVICE OR ON THE INTERNET GENERALLY. 10.4. THE INTERNET CONTAINS UNEDITED MATERIALS, SOME OF WHICH ARE SEXUALLY EXPLICIT OR MAY BE OFFENSIVE TO YOU OR OTHERS ACCESSING THE SERVICE THROUGH YOUR ACCOUNT. YOU ACCESS SUCH MATERIALS AND PERMIT OTHERS TO ACCESS SUCH MATERIALS THROUGH YOUR ACCOUNT AT YOUR OWN RISK. NJ Internet Access HAS NO CONTROL OVER AND ACCEPTS NO RESPONSIBILITY FOR SUCH MATERIALS. 11.1. If you are dissatisfied with the Service or any of its terms, conditions, rules, policies, guidelines, or practices, your sole and exclusive remedy is to terminate this Agreement and discontinue using the Service by canceling your account by one of the methods outlined in Section 15. 11.2. UNDER NO CIRCUMSTANCES SHALL NJ Internet Access, ITS EMPLOYEES, AFFILIATES OR CONTRACTORS BE LIABLE FOR ANY DIRECT, INDIRECT, INCIDENTAL, SPECIAL, PUNITIVE, OR CONSEQUENTIAL DAMAGES THAT RESULT IN ANY WAY FROM ANY: USE OF YOUR ACCOUNT OR THE SERVICE OR YOUR INABILITY TO USE THE SERVICE; ACCESS OF THE INTERNET OR ANY PART THEREOF; OR, YOUR RELIANCE ON OR USE OF INFORMATION, SERVICES OR MERCHANDISE PROVIDED ON OR THROUGH THE SERVICE OR THAT RESULT FROM MISTAKES, OMISSIONS, INTERRUPTIONS, DELETION OF FILES, ERRORS, DEFECTS, DELAYS IN OPERATION OR TRANSMISSION, OR ANY FAILURE OF PERFORMANCE. You agree to defend, indemnify, and hold NJ Internet Access and its affiliates harmless from any and all liabilities, costs, and expenses, including reasonable attorneys' fees, related to or arising from: any violation of this Agreement by you or those who access the Service through your account; AND, the use of the Service or the Internet and the placement or transmission of any message, information, software, or other materials on the Internet by you or by those who have access to the Service through your account. This Agreement is effective from your acceptance thereof, which is indicated by the establishment of your account. If you are a current NJ Internet Access member when this Agreement is activated, your continued use of the Service constitutes your acceptance of this Agreement. Unless NJ Internet Access is notified in accordance with the terms set forth in Sections 14 and 15 herein, your account will automatically renew with the same terms and rates as the prior billing cycle. 14.1. You may terminate this Agreement by using only the methods outlined in Section 15. EMAIL CANCELLATIONS WILL NOT BE ACCEPTED. You agree to provide NJ Internet Access with no less than THIRTY (30) days prior notice when cancelling your account. NJ Internet Access does not issue pro rata fee refunds. 14.2. NJ Internet Access may terminate this Agreement: at any time without cause upon 30 days prior notice; or, immediately if you or any person who has access to the Service through your account, commit a material breach of this Agreement, including but not limited to a breach of any obligation imposed under Section 4 or you fail to pay any charges within 60 days of the date they accrue. 14.3. Upon termination of this Agreement all rights granted to you and your authorized users under this Agreement shall immediately cease and terminate. 14.5. Non-use of your NJ Internet Access account does NOT eliminate your obligation to pay for NJ Internet Access service under this Agreement. 14.6. NJ Internet Access' right to enforce the provisions of Sections 7, 9, 10, 11, 12, 15, and 16 shall survive termination of this Agreement. 15.2. 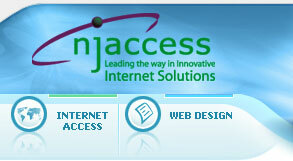 NJ Internet Access may provide notice to you by the following methods: Electronic mail (email) addressed to your email account; general posting to NJ Internet Access' Web site at http://www.njaccess.com; or by US Mail or courier service at the address you provided NJ Internet Access when you registered for the service. All notices or other communications to you shall be deemed effective on the first (1st) calendar day following the date of electronic mailing or posting or on the fourth (4th) calendar day following the date of first-class mailing or deposit with a commercial courier service. 16.1. NJ Internet Access' failure to enforce strict performance of any provision of this Agreement shall not be construed as a waiver. 16.2. This Agreement shall be governed by and construed in accordance with the laws of the State of New Jersey, United States of America, without regard to its conflicts of law provisions. You consent to the personal jurisdiction of the federal and state courts having jurisdiction for Fairfield, New Jersey with respect to all disputes arising out of this Agreement, your use of the Service or otherwise between you and NJ Internet Access. Any cause of action you may have with respect to the Service must be commenced within one (1) year after the claim or cause of action arises or such claim or cause of action is barred. 16.3. Any action at law, suit in equity, or other judicial proceeding concerning, relating to, arising from, or touching upon in any way, no matter how remotely, the contract for services between you and NJ Internet Access and/or your use of and/or NJ Internet Access' provision of systems and services thereunder, shall be brought and litigated, if at all, only in the state court system of the State of New Jersey. In such event, you acknowledge the right of the specified court to assert personal jurisdiction in any such action over you and waive and release now and forever any defense to that assertion of jurisdiction that might otherwise exist. 16.4. Neither this Agreement, nor any of your rights or obligations arising hereunder, shall be transferable by you to any third party without NJ Internet Access' prior written consent. 16.5. This Agreement constitutes the entire agreement between you and NJ Internet Access with respect to the Service. 16.6. NJ Internet Access reserves the right to alter, amend or modify this Agreement at any time. The most current version of this document can always be found on our web site at http://www.njaccess.com/tos.htm. Customer acknowledges that Provider operates it’s business in full compliance of the Digital Millenium Copyright Act of 1998 (DMCA). Customer agrees to fully comply with all copyright infringement claims covered under the DMCA and to cooperate in any and all actions that Provider takes pursuant to such claims, as provided under the DMCA. Provider’s DMCA statement is viewable at all times at http://www.njaccess.com/dmca.